Hilton Garden Inn Jalan Tuanku Abdul Rahman South. Pix courtesy of Hilton. Hilton, one of the world’s fastest growing hospitality companies, is expanding in Malaysia, targeting both gateway and secondary cities in the market. Executive vice-president and area president for Asia Pacific, Alan Watts said that it will introduce two new brands when the seven hotels in its development pipeline open in the next three to five years. These include the entry of Hilton’s luxury brand, Conrad Hotels & Resorts, and lifestyle brand, Canopy by Hilton, that will open the first hotel in the fourth quarter of 2021. “This is just the beginning of what we envision to be a strategic growth trajectory for us in Malaysia,” said Watts during his recent visit here. Hilton operates 11 local hotels under three brands — Hilton Hotel & Resorts, DoubleTree by Hilton and Hilton Garden Inn. Watts said destinations such as Penang and Borneo are becoming increasingly popular among both domestic and international travellers. “With the government targeting 36 million tourists by 2020 and committing efforts to boost inbound travel, we see some great potential for our portfolio of brands to meet the rise in demand in many parts ofthe country,” he said. 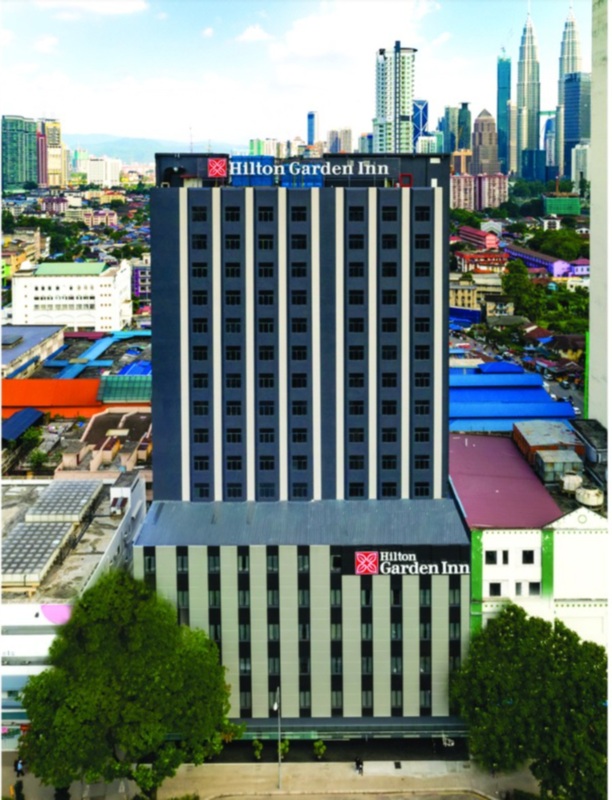 Hilton’s most recent opening in Malaysia are two hotels under the Hilton Garden Inn brand, namely Hilton Garden Inn Jalan Tuanku Abdul Rahman South and Hilton Garden Inn Puchong. According to Watts, a fourth hotel under the brand is expected to open in Johor Baru next year. “The first Canopy by Hilton hotel is also set to open to growing anticipation in Kuala Lumpur in 2021,” he said. Located in the multi-billion ringgit Bukit Bintang City Centre development, the hotel will be the first of the brand to enter Southeast Asia. Watts said that in the next few years, Hilton will also introduce four DoubleTree by Hilton hotels nationwide, including its entry into Putrajaya and Miri: the 290-room DoubleTree by Hilton Putrajaya and the 320-room DoubleTree by Hilton Miri. In addition, Kota Kinabalu, home to Malaysia’s second busiest airport, will have a second hotel by Hilton: the 237-room DoubleTree by Hilton Kota Kinabalu. “Kota Kinabalu has seen significant tourism increase over the last few years with an upward trend in international visitor arrivals and its economy is expected to grow fourfold over the next decade. The city shows great potential and this is the latest example of Hilton’s commitment to expanding its portfolio within fast-emerging business and leisure markets in Malaysia. “Being part of a nearly 100-year-old company also gives us great leverage to be able to enter new upcoming markets such as Miri and Putrajaya where we lead the way in bringing international brands into these locations. “We are committed to being in Malaysia and doing our part to make a positive impact as we continue to sign and open hotels here,” said Watts.